In February 1917, the Romanian public opinion was shocked to learn that a colonel from the Romanian Army deserted to the Germans, along with his aide. It wasn’t just any officer, but Alexander D. Sturdza, the son of Dimitrie A. Sturdza, former leader of the National Liberal Party and former Prime Minister of Romania, and the son-in-law of Petre P. Carp, the leader of the Conservative Party. Moreover, Colonel Sturdza had been decorated by King Ferdinand of Romania only four days before betrayal. For his part, Emil Costinescu, former finance minister, said that “these rumours are an infamy. I have known this man since he was a child, I know the principles in which he was raised, it’s an attempt at his father’s venerable memory [deceased on October 8, 1914]. Even if I saw it, I would still not believe it”. Nevertheless, a closer look at Colonel Sturdza’s biography will reveal that his desertion to Germany’s side should not have been such a surprise. Born in 1869, Alexander was the only child of Dimitrie A. Sturdza and Zoe Cantacuzino. His father studied in Germany, a country he felt attached to for the rest of his life. Dimitrie was one of the most important political figures in Romania at the end of the nineteenth century and early twentieth century. In 1889, Alexandru was registered as a volunteer soldier in the Romanian Army, and after a few months he was given a three-year leave to follow military studies in Germany. In fact, he stayed in Germany for 12 years, following the courses of several educational institutions and practicing internships in various military units. 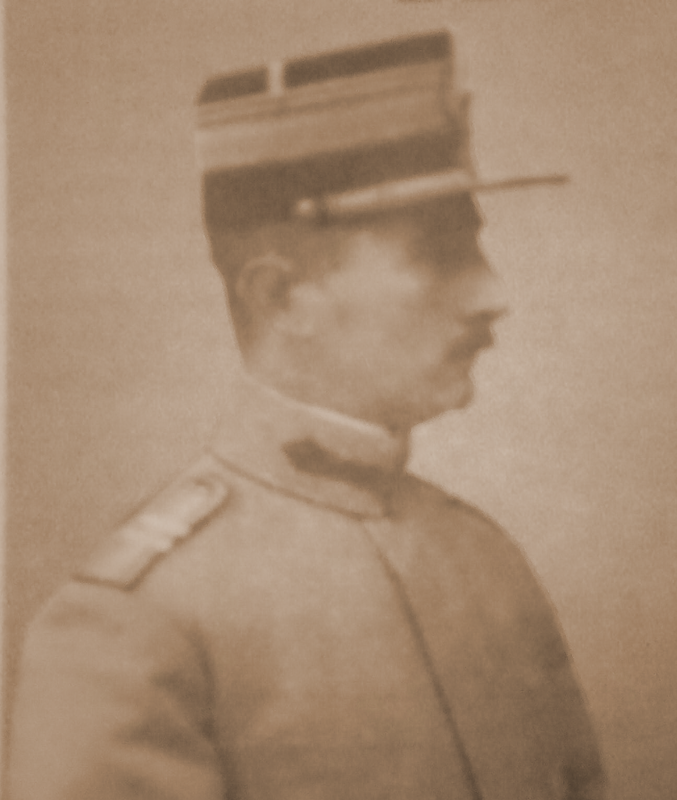 In 1891, Alexander graduated from the Military School in Hanover. In the same year, he was inducted in the Romanian Army, with the rank of second lieutenant, due to his studies in Germany. Based on an agreement between King Carol I of Romania and Kaiser Wilhelm II, Alexander Sturdza served in the German Army until the autumn of 1901. He also studied at the Artillery and Engineering School and at the War Academy in Berlin, being groomed as a liaison officer in accordance with the alliance treaty between Romania and the Central Powers. The decision of the Crown Council in Sinaia (1914), which proclaimed Romania’s neutrality at the beginning of the First World War, deeply disappointed Alexandru Sturdza, who shared the opinion of his father-in-law, conservative leader Petre P. Carp, who demanded that Romania enter the war on the part of the Central Powers, in the spirit of the aforementioned treaty. “The worst day of the campaign and maybe even of my life! Colonel Sturdza withdrew hastily without apparent causes, without duly warning me…”. Shortly afterwards, Averescu asked General Constantin Prezan, the head of the General Headquarters, for Alexander Sturdza to be removed from the Second Army. “I have no need of this kind of arrogant men, although they have some qualities, they are more trouble than they worth […] He has qualities; but his defects far outweigh them” wrote General Averescu about Colonel Sturdza. Alexander Sturdza planned his desertion thoroughly. According to the notes in his diary, the colonel was extremely worried about the situation on the Romanian front. He was extremely worried about the behaviour of the Russian troops, which he considered to be an occupying force. Once he had changed sides, Colonel Sturdza planned to form a body of volunteers, using the Romanian prisoners in Germany and Austria-Hungary to fight under his command alongside the Germans to expel Russian troops from the Romanian territory that was not already occupied by the Central Powers. Colonel Sturdza was convinced he would become a true saviour of his homeland. Moreover, Sturdza managed to persuade Lieutenant Colonel Constantin Crăiniceanu to join him and his subordinate troops. Commander of the 25th Infantry Regiment, Crăiniceanu was a military attaché in Vienna between 1914 and 1916. He was the son of General Grigore Crăiniceanu, former Minister of War, and nephew of General Prezan. Crossing the frontlines, on February 6, Colonel Sturdza was soon discovered by a German soldier. He led him to a second lieutenant, who told him he was expected. Lieutenant Constantin Wachmann, the son of Eduard Wachmann, conductor, composer and Romanian university professor of German origin, had already reached the German lines and revealed to them the whole plan. Sturdza intended to form a division of Romanian volunteers to fight for the “liberation” of the Romanian territory under the “occupation” of the Russian troops. Immediately after crossing over to the enemy, the colonel implemented his plan, despite the fact that the Germans did not fully trust him. Sturdza produced a 15.000 copy manifesto intended to be delivered behind Romanian lines. On February 10, he met with Crăiniceanu in a forest and asked him to implement the plan in the evening. But the plotters plan failed. Crăiniceanu was arrested while returning to his regiment, and Sturdza’s manifesto was found on him. Meanwhile Colonel Sturdza’s other action failed, as very few Romanians agreed to join a division to fight for the Central Powers. The Romanian authorities tried unsuccessfully to apprehend Sturdza. Then a trial followed, Colonel Sturdza and Wachmann being sentenced to death (in contumacy), and Crăiniceanu received 15 years of hard labour. In the case of the latter, the decision was overturned by General Prezan, although Crăiniceanu was his sister’s son. The trial was held again, and Crăiniceanu was sentenced to death and executed in front of his subordinates on April 13, 1917. After the failure of his plans, Alexander D. Sturdza lived for a while in German occupied Bucharest. In March 1918, he went to Germany, where he received refugee status. The following year, his wife, Elizabeth, and his three children Sandu, Ioan and Dimitrie joined him. After the war, Sturdza repeatedly tried to obtain a pardon from Romanian authorities. Everything was in vain. Alexander D. Sturdza lived for the rest of his life in Germany and Switzerland, where he died on 28 September 1939. Petre Otu, Maria Georgescu, Radiografia unei trădări. Cazul colonelului Alexandru D. Sturdza [The radiography of a betrayal. The Case of Colonel Alexandru D. Sturdza], Military Publishing House, 2011. Cornel Ilie, Trădarea colonelului Sturdza [The treason of Colonel Sturdza], in the Historia magazine, no. 64, April 2007. Manuel Stănescu, Alexandru Sturdza, un trădător din convingere [Alexandru Sturdza, a traitor out of conviction], in the Historia Special magazine, no. 2, March 2013.